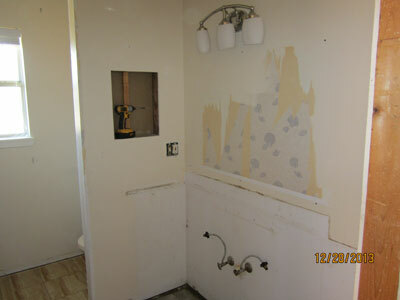 Hall bathroom with old vanity and in-wall medicine cabinet taken out. 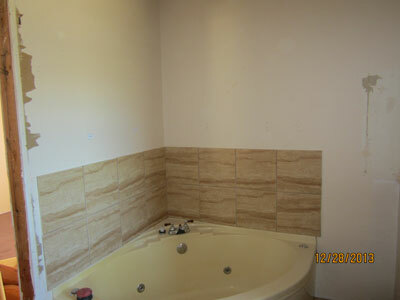 Jacuzzi tub will be taken out in hall bathroom. 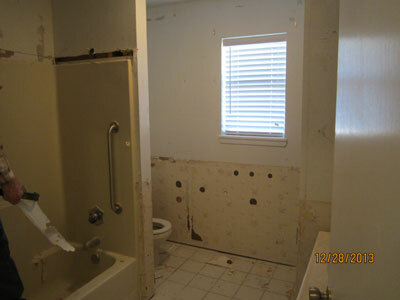 Demolition continues for complete remodel in master bathroom. 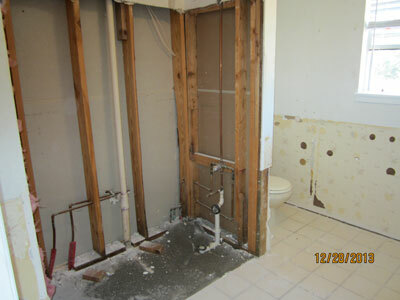 The Jack & Jill bathroom has been gutted for a complete overhaul with new shower. 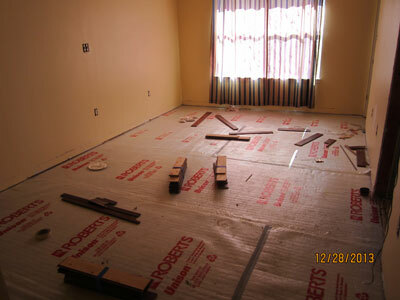 All the old wood flooring in the master bedroom has been pulled up. 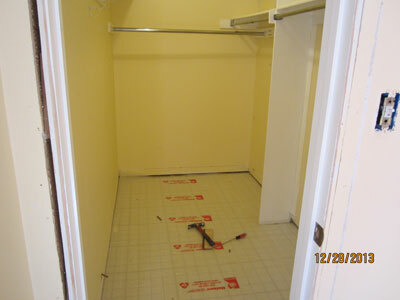 The master walk-in closet has had flooring and trim removed. 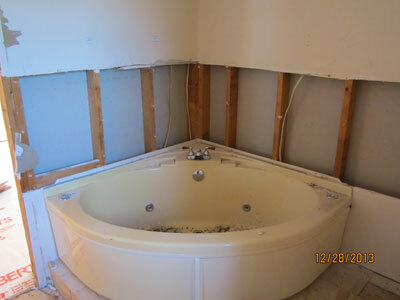 This old-fashioned tub is being taken out. 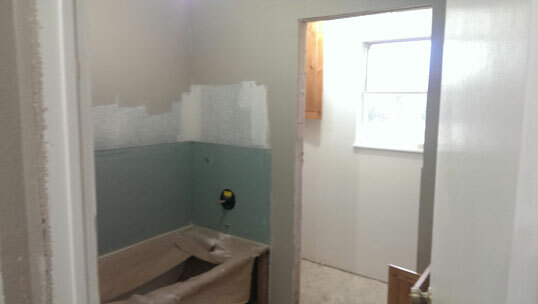 Part of the wall has been torn out because new concrete board will be installed for a full shower. 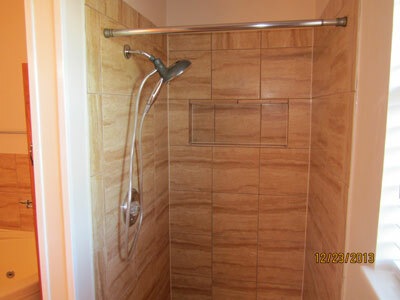 The old shower area has been completely gutted to allow for modified plumbing and enlargement. 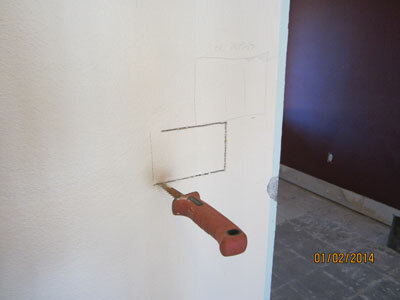 Cutting a new whole in the wall for switches. 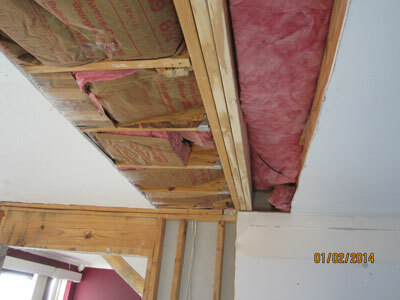 They are being relocated from the wall across that was removed. 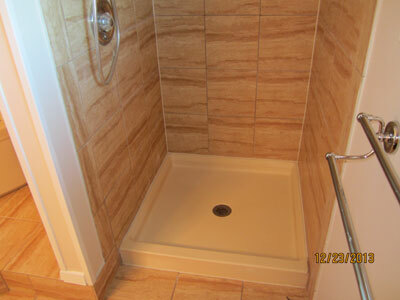 Shot of new shower pan in Jack & Jill bathroom. 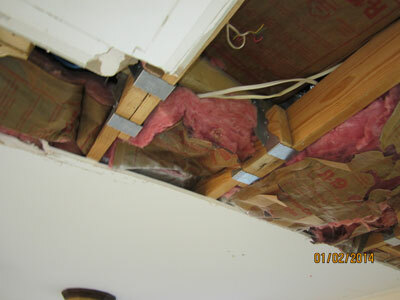 Structural support being added in the attic so wall in mudroom can be removed. 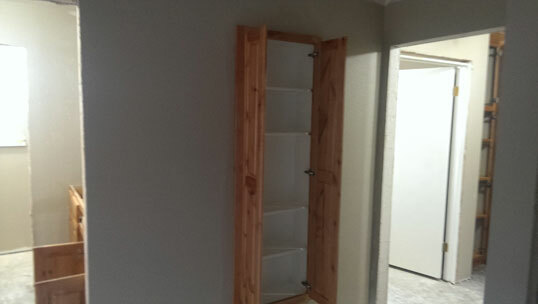 Closet in front corner bedroom. 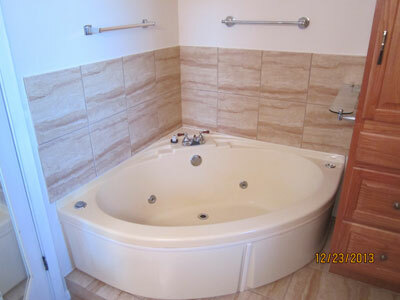 Old jacuzzi tub in master bathroom. 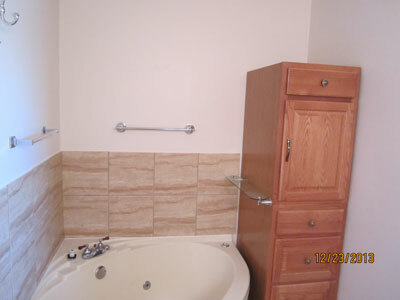 Old jacuzzi tub and hamper in master bathroom. 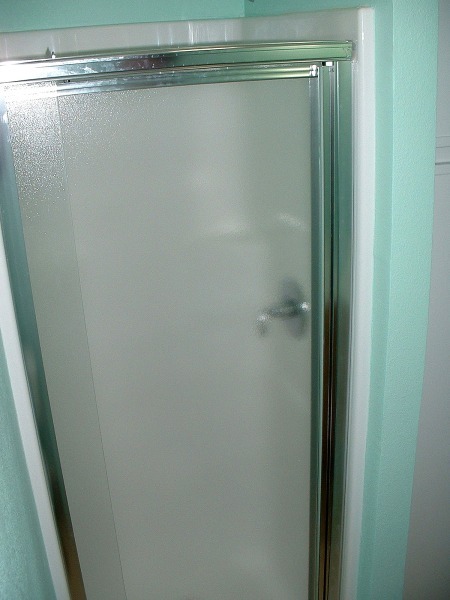 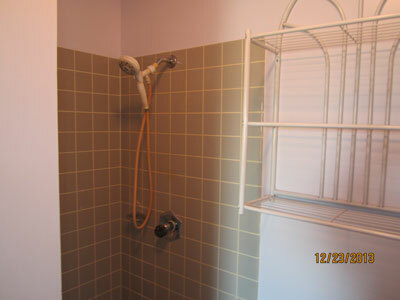 Picture of old shower in master bathroom. 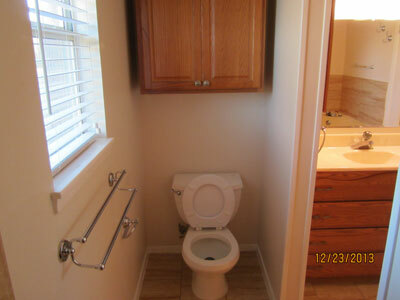 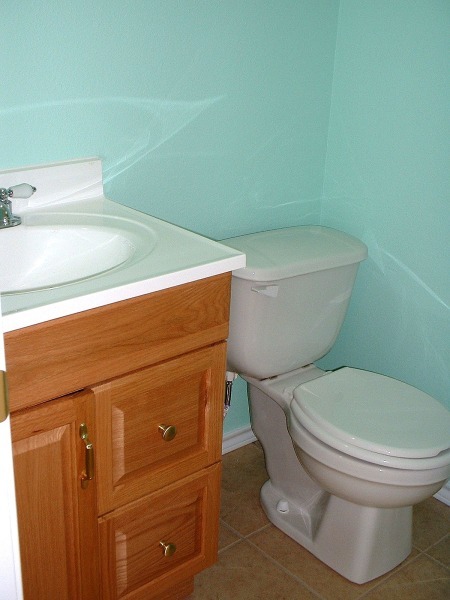 Old toilet area in master bathroom. 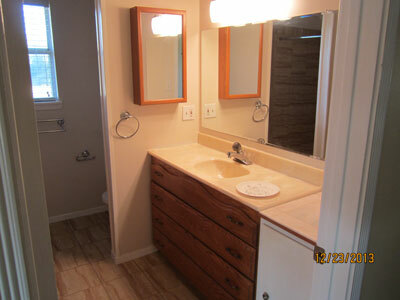 Shot of old vanity setup in master bathroom. 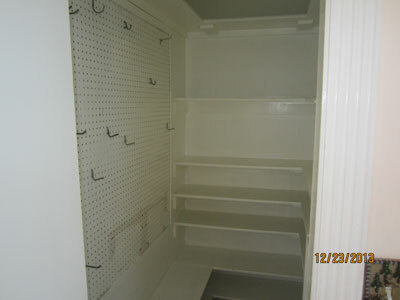 Picture of master walk-in closet. 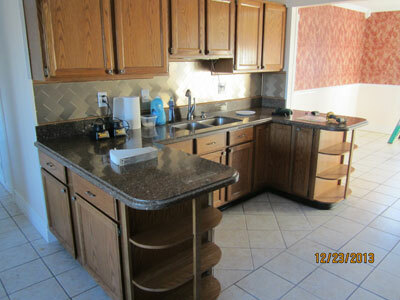 The bar areas, counters and tile will all be gutted and redesigned. 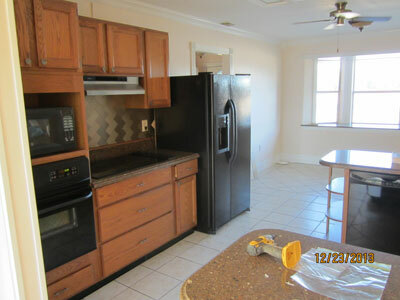 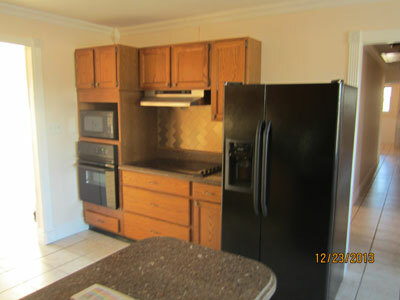 The refrigerator and microwave will be moved to the opposite side of the kitchen, along with replacing all the cabinets. 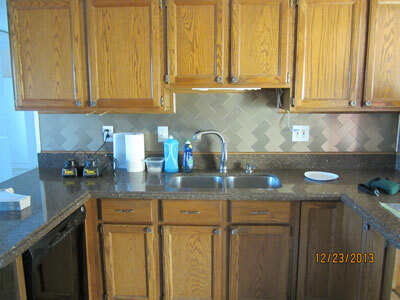 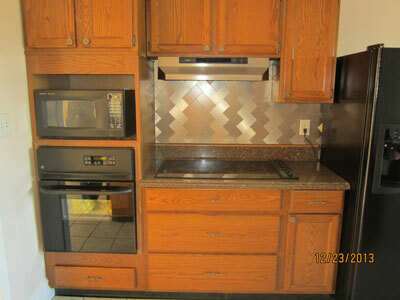 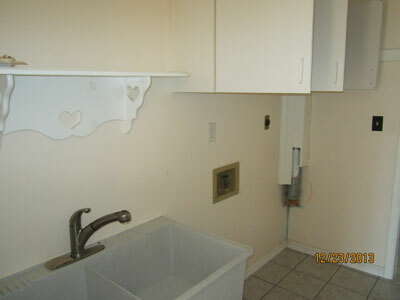 All cabinets, surfaces, appliances and fixtures will be moved and replaced. 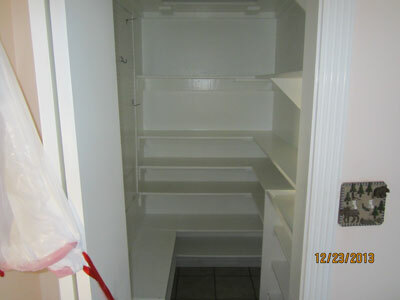 This pantry will be completely taken out to make the mudroom bigger. 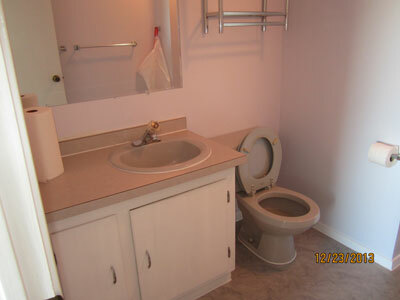 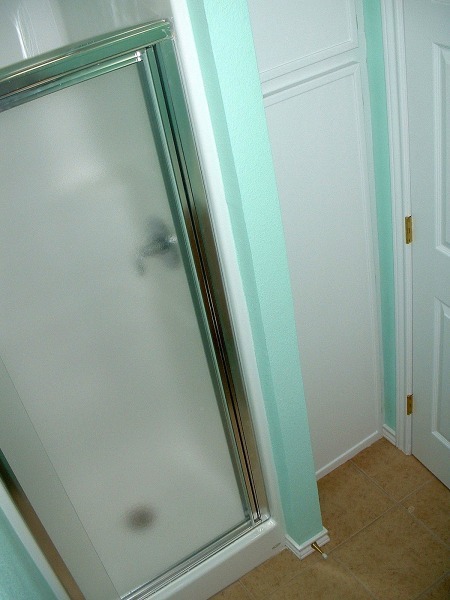 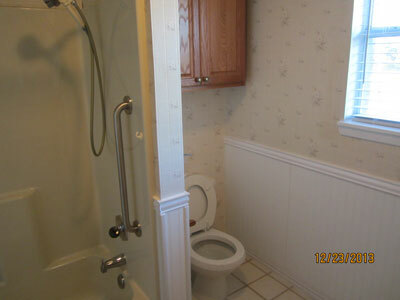 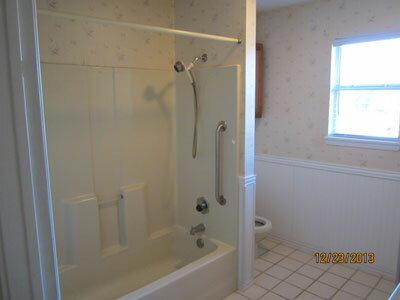 Picture of Jack & Jill bathroom. 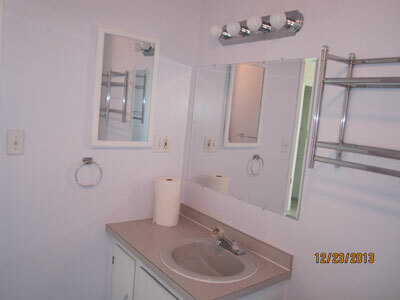 View of vanity and toilet area in Jack & Jill bathroom. 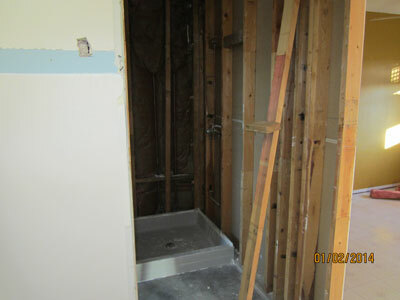 View of shower area to be remodeled in Jack & Jill bathroom. 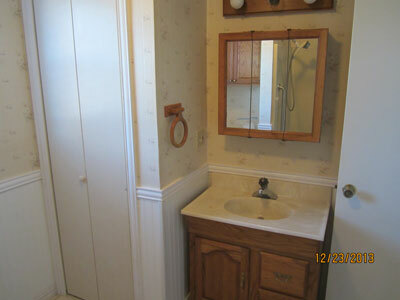 Medicine cabinet in Jack & Jill bathroom will be removed and wall closed in. 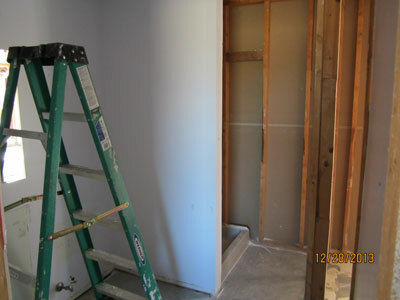 A new doorway will be built into the far wall for entry to the Jack & Jill bathroom. 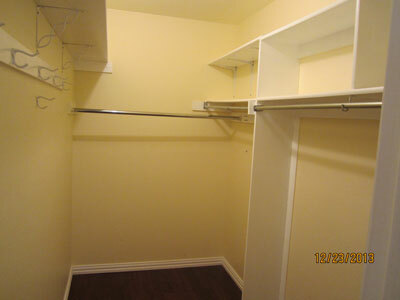 Closet area in mudroom to be removed. 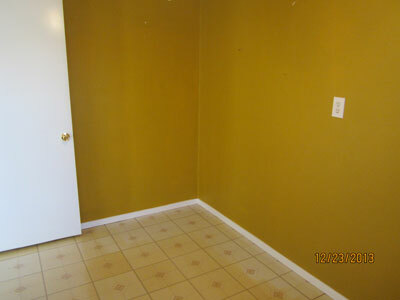 A new wall will be added in front of the sloped wall to make a small room for audio/video equipment. 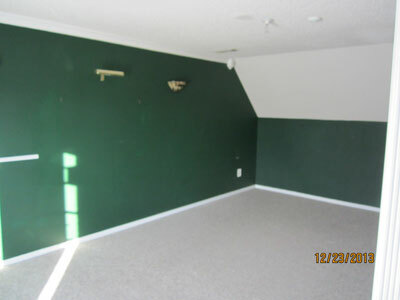 Long shot of living room. 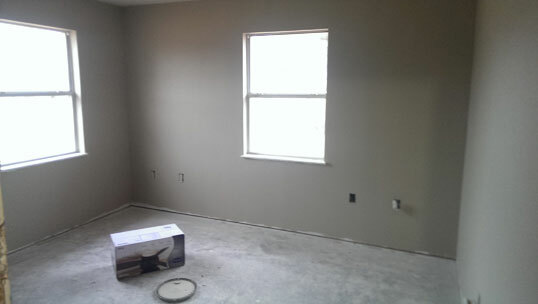 Front corner bedroom with new drywall. 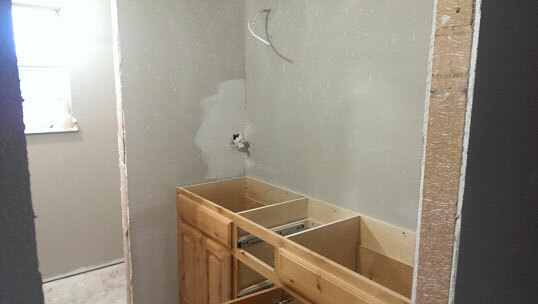 New tub and drywall in hall bathroom. 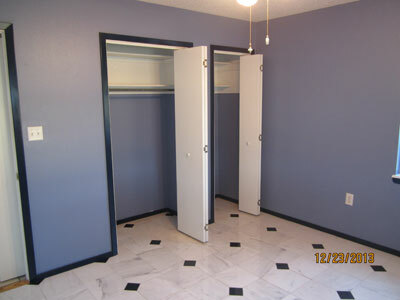 Master bedroom with view of bathroom and hallway. 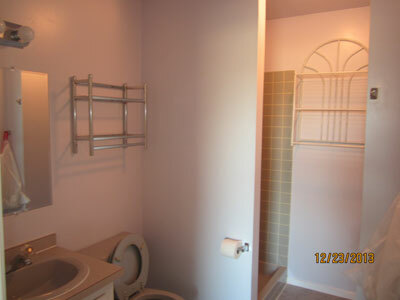 Master bathroom with new drywall, plumbing and pony wall for glass. 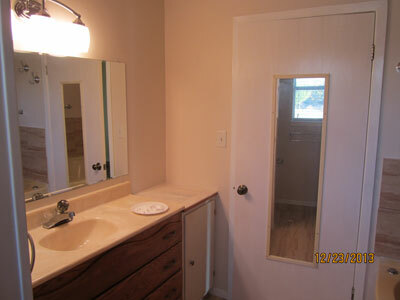 Hall bathroom with drywall patches and new vanity cabinets. 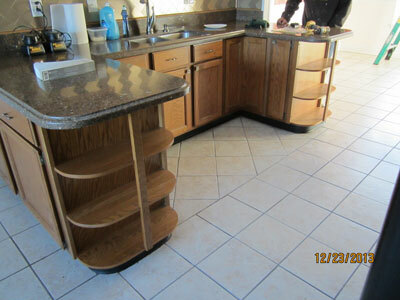 Vanity and cabinets have been taken out. 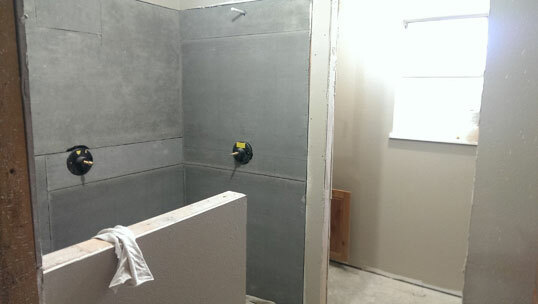 Picture of Jack & Jill bathroom, with shower walls ready for concrete board backing and all fixtures removed. 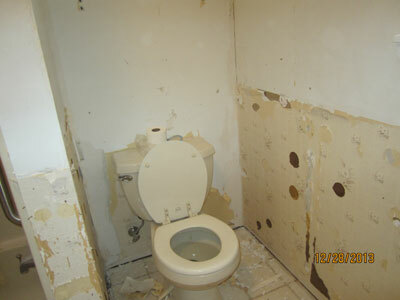 Hall bathroom with chair rail, bead wall and flooring taken out. 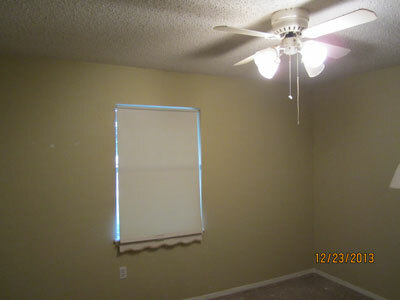 View of master bedroom from main hallway. 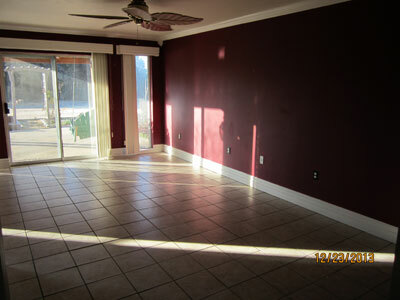 Old wood flooring has been removed, and all sconcel lights taken out.